Southside man is robbed while walking to work. Police are appealing for witnesses in assault case. 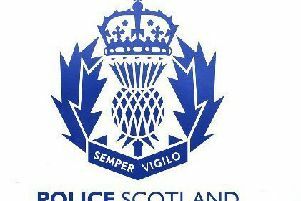 Detectives are appealing for witnesses after a man was robbed in Linthaugh Road, Glasgow yesterday, (Wednesday, March 15). Around 6am a 30-year-old man was walking along Linthaugh Road towards Mosspark Railway Station on his way to work, when he was stopped by a male at the start of the footbridge. He was then pushed to the ground and robbed of his wallet before his attacker ran off in an unknown direction. Detective Inspector Alasdair Barlow from the Community Investigation Unit based at Govan said: “Luckily the victim was not injured during this incident but it was nonetheless a frightening experience for him and it is crucial that we trace the person responsible. “There would have been members of the public in the area at the time, possibly making their way to the train station. I would ask anyone who witnessed what happened or saw a man matching the above description in the area to please get in touch.